MusicGenome, the leading expert in Artificial Intelligence (AI) and Music Cognition, announced today the release of Smart DJ -- a new innovative fun product for the global cellular market. Smart DJ offers 3G mobile phone users the ultimate in digital music experience, by creating a new online entertainment service that accurately analyzes listeners' music preferences and then delivers a stream of mp3 songs totally in-sync with the listener's taste with 80% success rate -- higher than all competing methods including technologies based on analyzing music parameters or Collaborative Filtering. Acting as a personal music agent, it proposes play lists that can be cross-genre or targeted to a specific mood and atmosphere. Based on Artificial Intelligence technology Smart DJ simulates each user's taste and delivers the music that s/he loves, even music never heard before. Over time Smart DJ continues to adjust to a person's taste and keeps it updated by performing "fine tuning", so that music can be delivered with growing precision. "The Smart DJ combines the technology edge of the 3G handsets and network with real time personalized end user experience," said Dr. Dan Gang, MusicGenome's Founder and CEO. "Smart DJ is unique with its innovative approach and technology, with a rich tools set for listening to diverse channels, intuitive searching, Music DNA editing and for generating diverse play-lists." Sales of music via the internet and mobile phones proliferated and spread across the world in 2005, generating sales of US$1.1 billion for record companies - up from US$380 million the previous year - and promising further significant growth in the coming year. According to new IFPI research. The Digital Music Report 2006 concluded that Mobile music is rapidly moving beyond just ringtones and master ringtones. With the advent of 3G mobile, download speeds have increased tremendously, allowing a wide range of new music products to be offered such as full track downloads, video streaming, and premium music content. The Smart DJ is available via the following platforms: IMS, WAP, embedded on the phone, web and as a downloading terminal in retail stores. 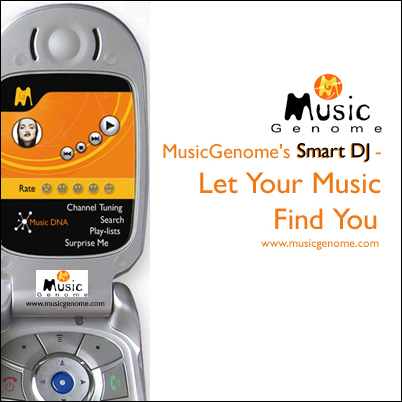 MusicGenome will be showcasing the Smart DJ product as part of the Israel Mobile Industry Event at 3GSM World Congress, in Barcelona (February 13th -16th, 2006) - Live Demo center Hall 1 Booth D10. 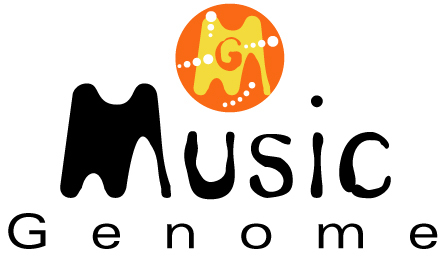 Founded in 1999, MusicGenome set out to create new ways to personalize and enrich the digital entertainment experience. The company comprises of leading experts in Artificial Intelligence and Music Cognition who developed a comprehensive infrastructure for identifying a person's innate musical taste. Dr. Dan Gang, MusicGenome's CEO, has worked with Stanford University's Center for Computer Research in Music and Acoustics. Music Genome's Chief Scientist, Prof. Daniel Lehmann of the Hebrew University, is an internationally renowned expert in the field. Focusing initially on music, the company developed a patented technology that creates a personal music profile in a bid to provide highly accurate song recommendations. MusicGenome's solutions are designed for retail chains, cellular operators and mobile service providers, cellular handset manufacturers, content providers and online music web sites. MusicGenome and the ultimate cross entertainment experience - The concept of building a personal profile and offering a service catering to personal tastes is being targeted at other sources of entertainment. MusicGenome's technology is poised to deliver the ultimate cross-entertainment experience, e.g., from books to movies and even games. The personal profile, built by MusicGenome's technology, is applied to the entire entertainment spectrum. The integration of all services will provide a huge marketing edge for companies seeking dual or multiple sales techniques and compounded brand loyalty. MusicGenome - Artificial Intelligence and Music CognitionMusicGenome's solutions are designed for retail chains, cellular operators and cellular service providers, cellular handset manufacturers, content providers and online music sites. 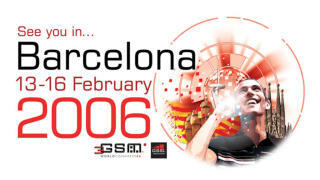 MusicGenome at 3GSM BarcelonaMusicGenome will be showcasing the Smart DJ product as part of the Israel Mobile Industry Event at 3GSM Barcelona (February 13th -16th, 2006) at Hall 1 Booth D10. Smart DJ - Let Your Music Find YouImagine no longer needing to chase your favorite sound tracks on your choice radio stations or online channels. Imagine your favorite songs reaching you where ever you are at home, at work or in the park.